Our discussion, recorded last November, focuses on his 2015 album In Tokens & Charms , which was rereleased with extra tracks in 2017. We discuss "Go," "Oh Love," and "Flames" from that album, and you also get to hear "Tum Jab Paas ," a 2017 single, and, with a newly recorded introduction, the title track from his brand new EP cold/mess . Intro/outro: the title track to the Raat Raazi EP (2013). 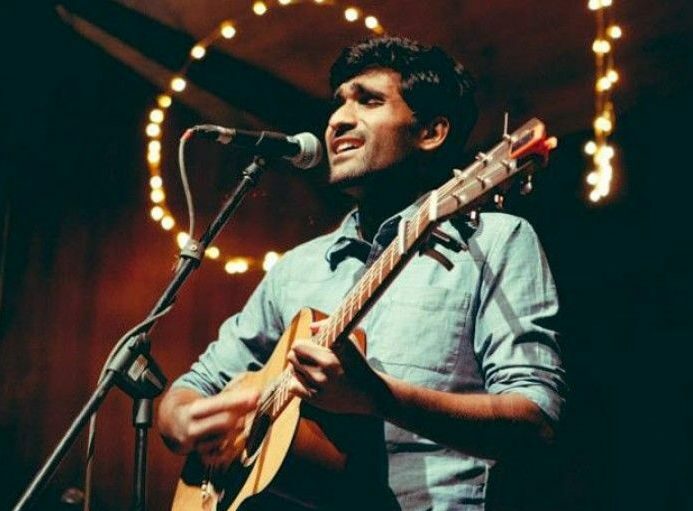 For more, visit prateekkuhad.com. Here's the video for "Go." Here he his playing the piano version of "Flames." Here's Prateek singing "Tune Kuha" from the Lust Stories soundtrack, and here's the video for "Tum Jab Pas." Here he is playing the new "cold/mess" live; this is the recording I was referring to as being rather Hendrix-like. This song, "Fighter," isn't on any of the current releases. Here he is playing "Raat Raazi" live. Here's another new one, "You Are Mine."